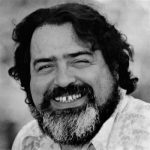 David La Mole Ortiz, Puerto Rican conga master, filmed at his home in Puerto Rico. His students include Giovanni Hidalgo, Anthony Carillo, Richie Flores, and Jimmy Morales. Puerto Rico is part of the United States and all Puerto Ricans are American citizens. As of this writing only 18 of the island’s 60 hospitals are operating and only 9 of its 52 waste water facilities are. 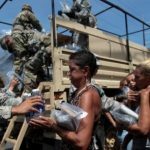 Food, water, and medical services are in short supply for over 3,000,000 people. From reports I am reading, help has been very slow in coming and many towns and villages have yet to receive any help at all of over 10 days out. 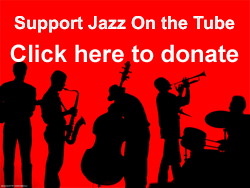 Jazz on the Tube will be contributing 100% of its subscription fees for the month of October to Pregones Theater/Puerto Rican Traveling Theater to provide emergency survival grants to artists and their families in Puerto Rico. We encourage you to make a generous contribution as well. The Puerto Rican Traveling Theater was founded in 1967. Pregones Theater was founded in 1979. 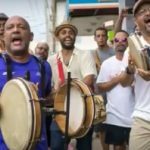 Both groups have collaborated closely with artists in Puerto Rico for decades and are staffed by serious, reliable people who we trust without reservation. 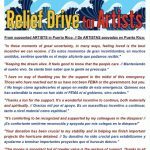 100% of your contribution will be sent to Puerto Rico to aid an artist (musicians, actors, visual artists etc.) Contributions of any size, large or small, are welcome.